"Scheduling my Coaching appointments with Wix Booking"
Now to schedule my schedule with the appointments of my coaching sessions in the week is easier with Wix Booking. The system is very easy to handle and the sequence is suggested. Just organize one hour a week with a session and this information is synchronized with the Google calendar which leads to a sequence of activities organized by hours and days collaborating with my order of activities and my control of sessions. Having this I can better manage my income control for the week according to the number of sessions in that time. To really tell them that there is something I do not like about Wix Booking is like lying to them. Everything I observe for myself is useful. If I had to complain about something, I would just like to add more boxes according to my particular needs and customize my website more detailed. Highly recommended for other coaches who like me did not have control of my sessions. For my Wix Booking it is the order of my work. Previously I had a bit of lack of control in the days and hours when the Coaching Academy for which I was working indicated that I should do a Coaching session. Today I can have the information organized and produce greater resilience of my time and my work. "Wix bookings makes booking from your website super easy"
I like that I don't have to do the work between the client and myself. Wix Bookings does that work for me allowing the client to book right from my site. Nothing as of yet, I've only been using it for about 3 months. It's an easy set-up and then virtually maintenance free! The one thing I would add is that you have to be sure to keep your schedule updated there so you don't have clients scheduling on top of another service you offer. I, for instance also taking bookings on Facebook, but if I have the same availability in both places I could get a consult for the same time/day. Client consultation booking. It has made booking a lot more seamless. Booking, taking payment, and automating a calendar system. Love how it is directly in the website and not embedded from a different place. It is simple. I have used many booking systems and this is one of my favorites now. The simplicity of Wix Bookings is definitely a pro of this software. Navigation and booking is easy. The software is affordable and is compatible with my Wix website. I have been unable to book several sessions at a time. This is a letdown and takes time to individually book in bulk. Lack of marketing features is also a bummer. If you need a simple and clean booking system for your service-based business, give Wix Bookings a chance despite some hiccups I'm sure they'll fix soon. Wix Booking has allowed my business to accept appointments and coordinate and follow-up effectively, with some moderate setbacks. "Simple way to book appointments"
I enjoy the convenience of allowing my customers to schedule right off of the website. They are already on the website, they might as well be able to schedule an appointment as well. There is not too much that I dislike about this product, it is easy to setup, incorporate, and use. 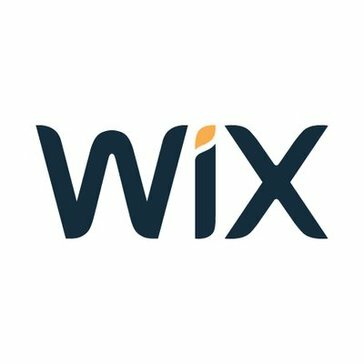 If you have services that you offer, Wix Booking should be used. If we offered more services, we would definitely use it more! It provides the benefit of parents/clients being able to schedule a meeting with the principal directly from their personal computer. I love that the Bookings feature allows the calendar portion of the business to be integrated directly into the Wix website. I don't like that it has some visual drawbacks, can be difficult to manage the calendar booking slots, and doesn't always provide total clarity for a customer trying to book a workshop or a session. I would suggest you try out other platforms (Calendly, Square Up) before committing to Wix Bookings to ensure you are using the software that is most user friendly for you. Wix bookings allowed me to operate my business all from Wix rather than separate websites for calendar (i.e. Calendly, Square Up, etc.). However, I've cancelled my Wix Bookings account because it wasn't as easy to use as these other free sites. Wix Booking is the solution for online bookings, appointment scheduling. You can manage your busy booking easily, anytime, anywhere and within no time. To get extra feature you have to spend a lot of money. Sometimes it got stuck and do not work. It needs to be fixed. I highly recommend Wix Bookings to everyone. I am really happy with it. I am scheduling my appointments. I can handle my schedule with Wix Booking and really enjoying its cool features. It makes booking clients easy on both sides. It’s simple for customers to use, and makes it easy on my end to schedule clients, make sure I don’t overbook, and keep my schedule organized. My business has many layers to it, so it can be difficult to customize the booking options for my services. It takes out the time between the client reaching out to me and waiting for my reply. They can book me when it’s convenient for them and not have to wait for us to both have a free minute to chat first. I'm usually terrible with setting up appointments so the ability to link with calendar and email updates i'm no longer missing out on financial opportunities. Just started using it so no real complaints or changes. The availability calendar was a struggle but it was more me than the program. Use every app to the fullest. Still learning so much from Wix so explore or have your website manager check. Like before I was missing financial opportunities from folks coming to website and not being able to pay and set up appointment. "Wix Booking is one of the best booking systems I've used "
Wix Booking is great, I built websites through wix and the wix Booking feature has been a useful tool when it comes to bookings and talent inquires. I highly recommend anyone in the music industry and or talent world to use wix booking. I have not found a reason to dislike wix booking it's been such a great toll for my business and helpful. It provides real-time booking submissions. Its an all in one source and plus it's connected to the website. I like that this is an all in one booking platform that integrates seemlessly to my wiz site. I initially had some struggles integerating the payment platform but have since figured it out. Keeping all bookings in one place, and managing a bookings calendar. All of my clients are organized by day/time. It keeps my stress level down knowing that I have this tool to use for my business. Sometimes the system is sluggish and I have to exit and login in again. Just staying organized. It's important to have confidence in a program like this when you deal with a lot of people. * We monitor all Wix Bookings reviews to prevent fraudulent reviews and keep review quality high. We do not post reviews by company employees or direct competitors. Validated reviews require the user to submit a screenshot of the product containing their user ID, in order to verify a user is an actual user of the product. Hi there! Are you looking to implement a solution like Wix Bookings?